This unique swivel handle can really work like magic! The Harmony Handle can instantly reduce leash pulling by helping to maintain balance and therefore, cooperation. This fleece handle can be used with any double ended leash to create a clear, fluid connection with the handler. Easy to use and effective without the use of force. The swivel action makes for easy use! Tellington TTouch Harmony handles can be used on any double ended leash to help bring your dog into balance and make loose leash walks a breeze. 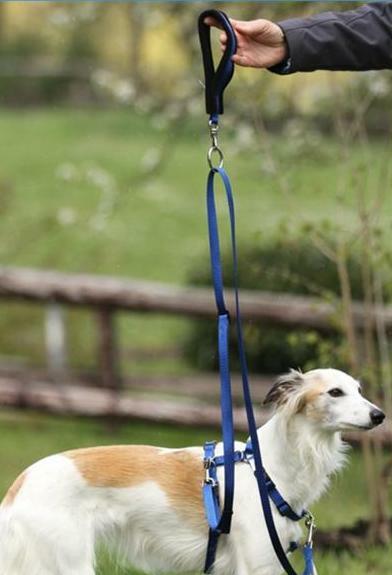 For optimal results use with our adjustable Harmony Leash and Harmony Harness. Available in 3 sizes. Small , Medium and Large in 7 colours. Made in Canada.